Taking your project from concept to completion with one team saves you time and money. There’s a reason we are a leading design-build general contractor and construction firm in the midwest. Quite frankly, It’s because we insist on partnering with you in a collaborative setting, Starting with pre-construction, we get all of the details ironed out from the very beginning and handle every aspect of the design and construction phases of your project. Because of that, you enjoy a shortened timeline and an overall budget that is more cost effective. Plus, having your design and construction experts under one roof eliminates many of the issues you may face when you work with more than one firm. With so many moving parts of a construction project, it makes sense to have all the players on the same team. Our design-build model gives you one point of contact, minimizes project risks and results in shortened construction timelines. Working with us from start to finish ensures that the guesswork is taken out of your construction project and it moves along as seamlessly as possible. Our commitment to high-quality projects and our dedicated, experienced staff ensures that whatever type of project you have in mind, we can make it happen. Running a business takes hard work, dedication and the ability to adapt with changing environments. Along the way, successful companies are able to grow by cultivating strong relationships and delivering work that exceeds expectations. That may be why many of our early projects were for clients we work with to this day; here are some of the projects that have stood out for us over the years. 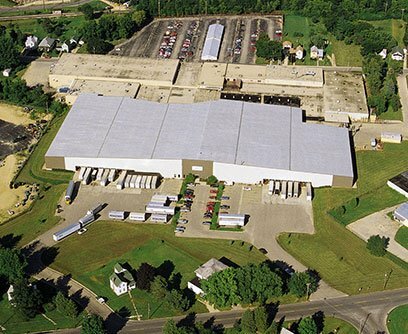 In the mid 80s, we began working with Capron Manufacturing, a third-generation, family owned, metal finishing business. This first project has led to multiple projects to this day. In 1988, we were still a small construction firm when we were awarded a huge project with Newell. 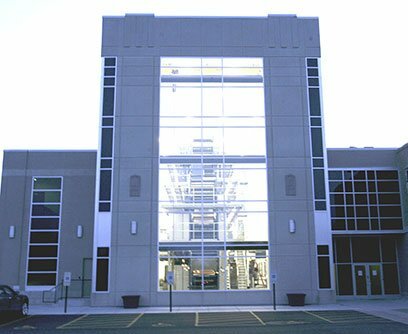 No one was doing buildings this size, and Newell trusted us with their future: to build their 150,000 square-foot addition. As the 80s came to a close, we partnered with Comet Fabricating & Welding, a company we continue to partner with today. 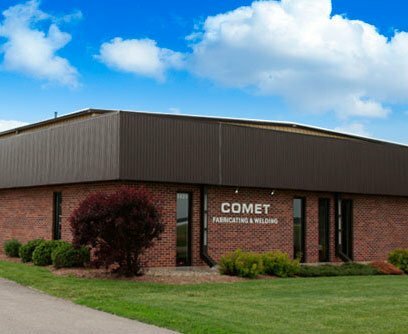 Our first project with Comet, an 11,000 square-foot shop addition, has led to ongoing work through the years and a valued partnership built on trust. When you take on a building project for a client, you are entrusted with more than constructing a new facility, you’re entrusted with their brand. In 1990, Thrall Distribution looked to us to build a new office and manufacturing center for their plumbing supply business. It was the first of many projects we've completed for Thrall throughout the Midwest. As we grew, so, too, did our capabilities. 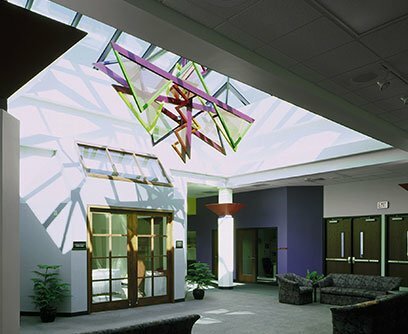 Our first large public project was for a new student center at Highland Community College. This was the first of numerous municipal projects we have taken on over the years. In the early 90s, Rockford’s retail landscape looked very different. What is now the hub of shopping for the community was land waiting to be developed. 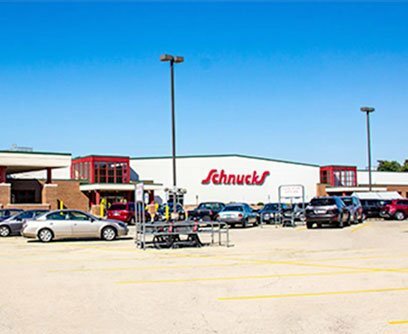 We took on the project of building what was at that time the largest supermarket in Illinois, and helped shape Rockford’s retail boom. Our first project with Weber was the largest job we had ever done at that time. 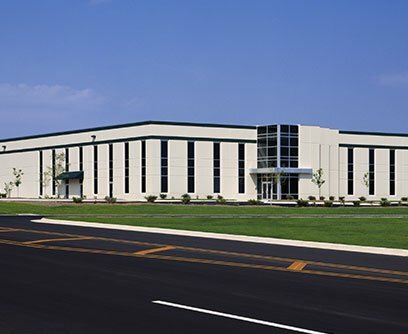 The 306,000 square-foot building project, a new office and manufacturing center in Huntley, IL, was the beginning of a relationship that continues today. 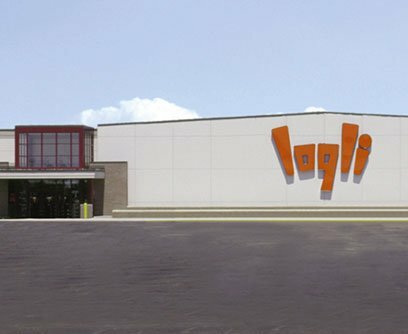 After a successful project with the supermarket in Rockford, Logli (now Schnucks) enlisted us to help them grow their footprint in the marketplace with a new store in Loves Park, IL. A new century brought the start of a new relationship with Rockford Industrial Welding (now AIRGAS). 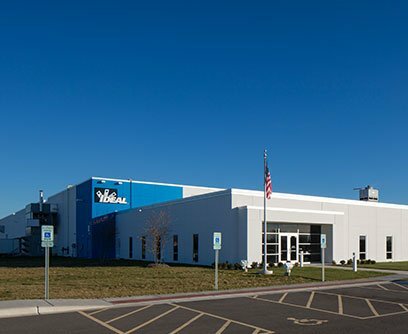 As their company has grown and evolved, we have continued to enjoy a strong partnership with them, building several facilities in Northern Illinois and Southern Wisconsin. 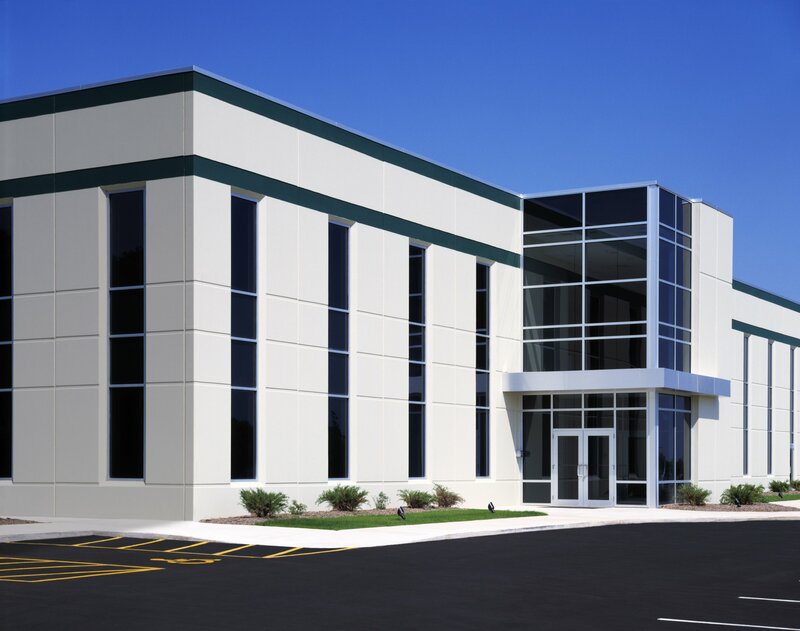 Our first project with Columbia Pipe & Supply was a significant one: a pre-cast concrete warehouse and office building. 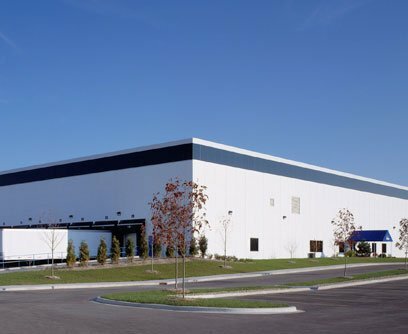 By finding design-build solutions to meet their unique needs, we were able to help Columbia strengthen their overall operations. 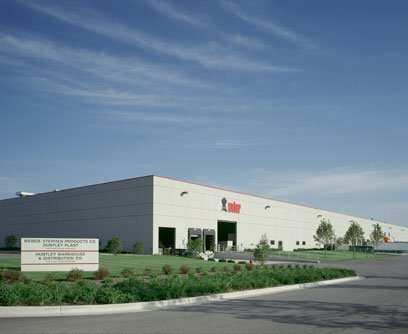 In 2002, we began a partnership Ideal Industries when they tasked us to build a factory warehouse and distribution center in Sycamore, IL. We are proud of the relationship we have built with Ideal over the years, and the role we played in their company’s growth. Read our case study. The level of complication for The Rockford Register Star’s press room addition was high. Not only was it technically challenging, the coordination required to keep the project on track and their existing operations running was significant. In the end, it was a project we are extremely proud of and pleased to have as part of our portfolio. As its name suggests, the Mega Sport Center for the Rockford Park District, was a mega project. Completed in 2017, the structure is so large that six soccer games or four softball games can be played simultaneously under its roof. 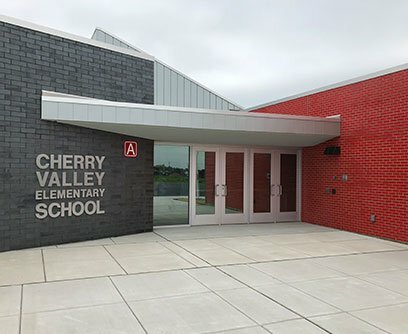 The opportunity to be a part of building a new elementary school - the school district’s first new building in 25 years, was one we were excited of which to be a part. Students at the school are in an environment designed for optimal learning, and we could not be prouder to have played a role. Our longtime relationship continued with Ideal as we partnered with them to build a new facility in Sycamore. It’s a testament to our philosophy of building trust and strengthening relationships through solid work, open communication and passion for what we do. Stay connected to the latest construction innovation, insights and news from Cord experts. Trusted to build your future. LEED-Accredited for Green Building Construction and Design, Cord Construction is a leader in the successful completion of projects with sustainable construction practices. Green buildings are beneficial for the environment and provide a long-term benefit to building owners and tenants. Our team includes LEED-accredited professionals and Green Associates who are members of the U.S. Green Building Council and follow the LEED rating system in our sustainable projects. The Cord Construction team includes ASHE-certificate holders who have the training, knowledge and proven experience to work in the health care construction environment. 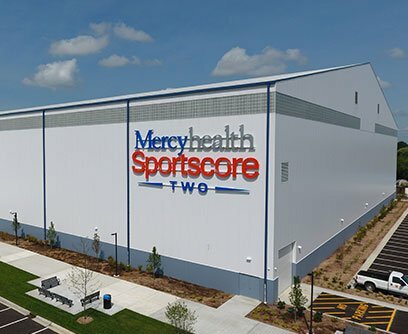 Beyond field experience, our team is on top of health care construction trends and regulations, including: design and construction process; Life Safety Code compliance; construction risk assessment; mechanical, electrical, and plumbing systems (MEP); medical gas systems; and medical technology.